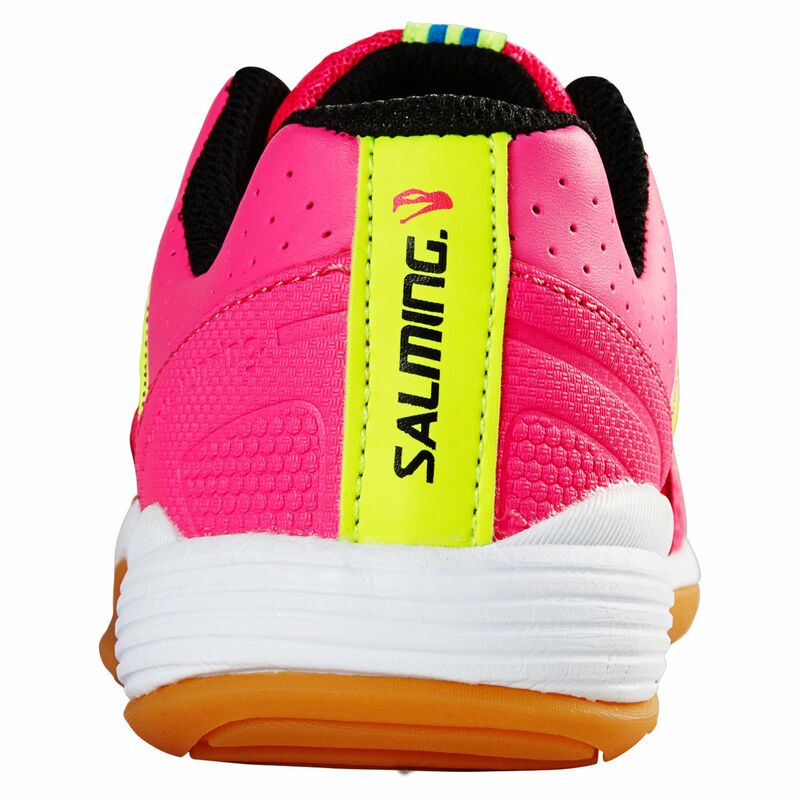 Providing a blend of stability and flexibility, the Salming Viper kids court shoes give the young ones comfort and confidence to take their game to the next level. 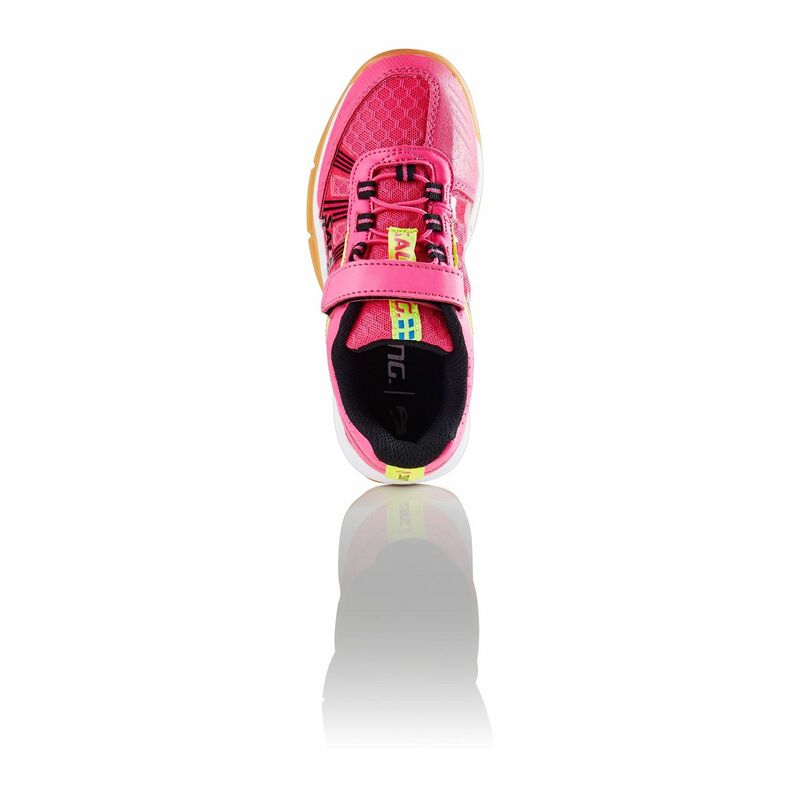 These indoor shoes with eye-catching design feature an upper with anatomical Ergo HeelCup™ for optimum fit, as well as a responsive RunLite™ midsole compound for a lightweight feel. There is also special RollBar™ technology in the outsole that facilitates rolling the foot inwards and toe push off, plus the trainers have a unique Lateral Movement Stabiliser+ design to prevent the foot from rolling over outwards. for submitting product information about Salming Viper Kids Court Shoes We aim to answer all questions within 2-3 days. 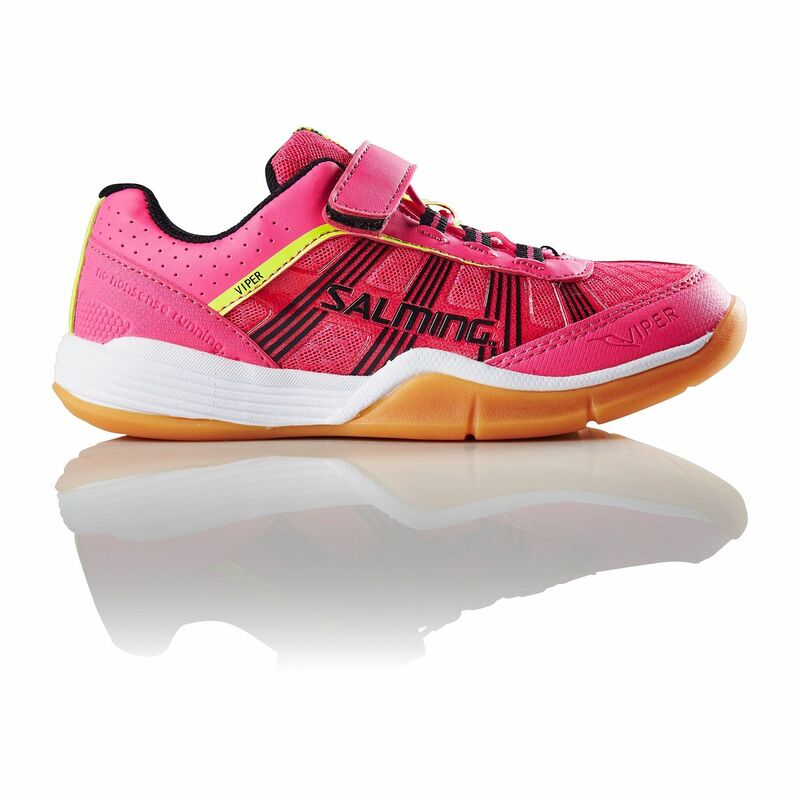 for submitting product information about Salming Viper Kids Court Shoes. We aim to answer all questions within 2-3 days. If you provided your name and email address, we will email you as soon as the answer is published. This is the second pair of Salming Viper kids trainers I have bought for my daughter. 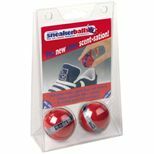 They are an excellent fit, provide superb support and provide great cushioning. I would definitely recommend these squash trainers. Good value. 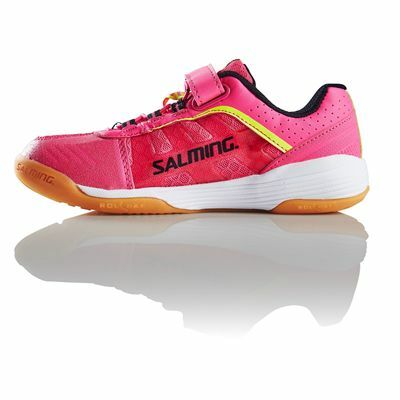 for submitting product review about Salming Viper Kids Court Shoes.